This study was designed to analyze the low input backyard poultry production system practiced by the tribal farmers, and evaluate the performance of an improved dual-purpose breed, the Vanaraja. Results revealed that a significantly (p < 0.05) higher number of farmers used temporary, non-conventional poultry houses made of locally available materials, such as bamboo and wood. Most of the farmers (65.9 %) did not provide balanced feed to their poultry and did not vaccinate their birds against any disease. Under standard management conditions, the average body weight of Vanaraja birds at 6 weeks was 625 ± 10.9 g. Under backyard conditions, the body weight at 18 months was 3.6 ± 0.8 kg. The age at first egg was 154 ± 9 days in the backyard system, whereas under the intensive system it was 196 ± 4 days. Annual production under the backyard and intensive systems of rearing was 176 ± 9 and 152 ± 7 eggs, respectively. Mortality of adult birds was 12 % and predation by foxes and wild cats accounted for 1.67 %. 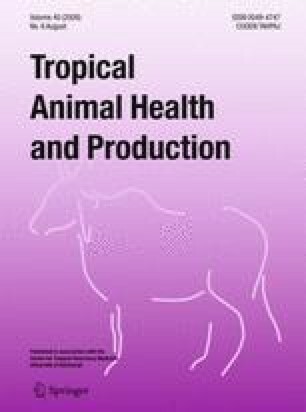 This study revealed that village chickens are an important income source for household expenses, and that traditional free-range poultry production in the smallholder sector of developing countries can possibly be improved through the use of improved dual-purpose birds.